Written in plain language this volume provides practical approaches to many complex problems in fiscal management. This new edition of the book contains new information in every chapter reflecting both the most recent developments in higher education and feedback from readers of the earlier edition. The information on the current higher education financial environment has been updated, and the case studies have been revised. 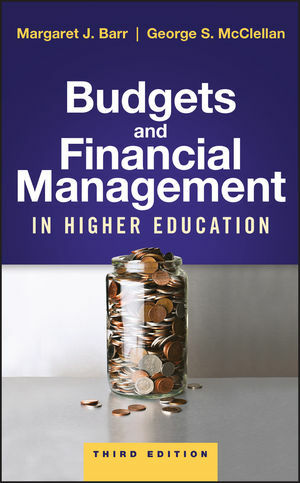 Readers will be introduced to Bowen's theory of resources and expenses as an important way to understand budgetary decision making in colleges and universities. Special attention is paid to the use of restricted funds, the budget implications of faculty appointments and the challenges caused by personnel policies for staff. In addition, greater attention is given to development and implementation of repair and replacement programs in auxiliary enterprises. The challenges that arise when budget problems are postponed are also discussed. The volume contains a number of suggestions for practitioners with new budgeting and fiscal responsibilities. Margaret J. Barr is professor emerita in the School of Education and Social Policy at Northwestern University. In her career, she has supervised operating budgets for both general and auxiliary enterprises. George S. McClellan is associate professor of higher education at the University of Mississippi. He is the author or editor of many articles, book chapters, and monographs on student affairs topics.